Sale Alert: Cloudfone Thrill Snap at Lazada retails for PHP 2,699! 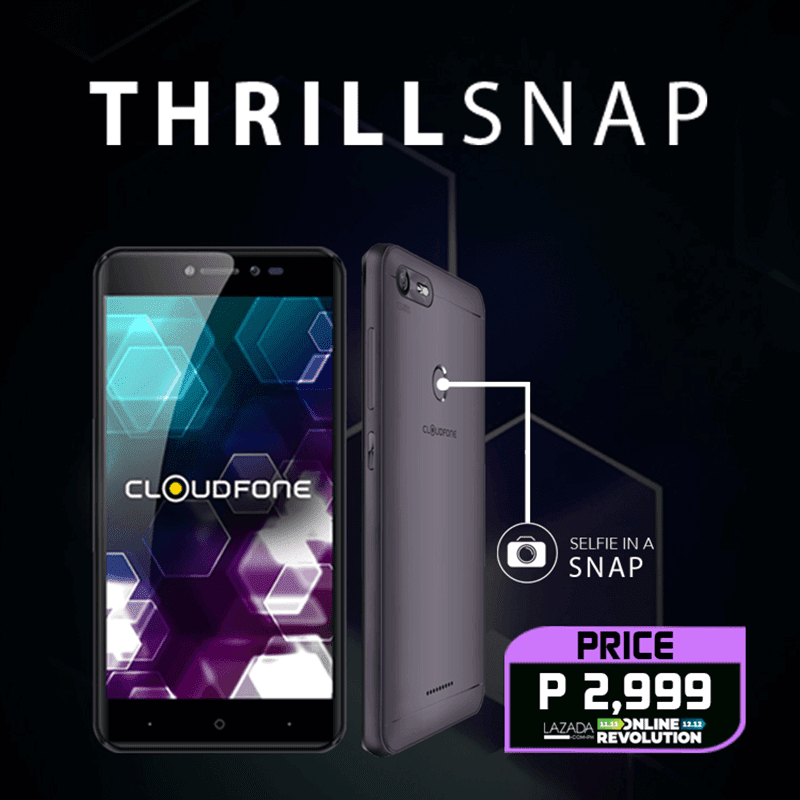 Home / cloudfone / mobile / news / Sale Alert: Cloudfone Thrill Snap at Lazada retails for PHP 2,699! Cloudfone Thrill Snap, the company's freshly launched budget smartphone will be on sale at Lazada's Online Revolution starting December 7 until December 12. From the original SRP of PHP 3,999, the Thrill Snap w/ 13MP f/2.0 Sony IMX135 AF main camera and 8MP f/2.0 Samsung 4H8 selfie camera w/ LED flash is down to just PHP 2,699 only! The Cloudfone Thrill Snap is exclusively available at Lazada during the above-mentioned period.